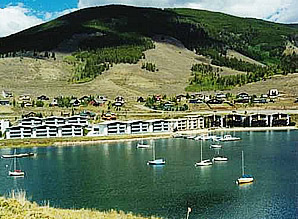 Anchorage West consists of 47, two & three bedroom units located on Lake Dillon . Seasonal pool, year round hot tub. Manager lives on site. Only Owners are permitted to have Boats, Trailers and RV's stored on site and Owners are limited to one item stored on site per unit. Owners MUST have their Boat, Trailer or RV registered with the Anchorage West Association and receive a decal; please fill out the below form to register your item. The Board of Directors will meet on July 19, 2019 at 2:00 pm at the office of Summit Resort Group. The AW Annual Meeting will be held on Saturday, July 20, 2019 at 9:00 am at the Dillon Town Hall.